AKIPRESS.COM - A complex with a meat-processing plant will be built in Mongolia's central Tuv Province with Chinese investment, Xinhua reported. According to the provincial governor's office, a cooperation agreement was signed by Tuv's Deputy Governor D.Munkhbaatar, A.Idersuren, head of Mongolia's state-owned enterprise Tuv-Erdenet, and Chinese entrepreneur Ma Yuanfeng, who is the director of Ai Zhui, a farming, science and technological company in China's Inner Mongolia Autonomous Region. 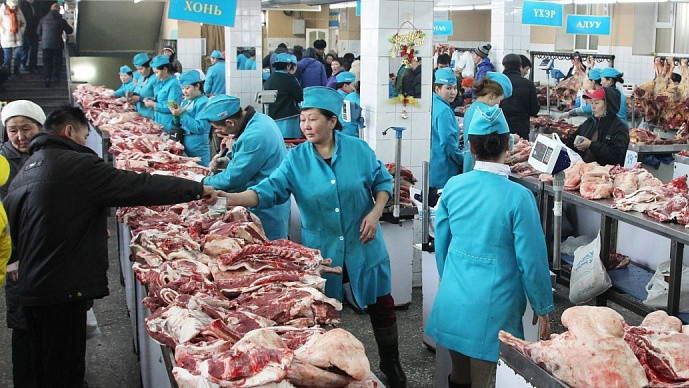 With Chinese investment worth $40 million, the complex will have an annual processing capacity of one million heads of livestock and promote local herdsmen's welfare, Mongolian authorities said. Construction is scheduled to begin next month. The project will be completed by December 2021.